A lovely spiced rum, of unique sweetness, with delightful aromas of pinneaple and vanilla. A traditional, hand-made spirit, Breiz'île Pinneaple & Orange is a spiced rum inspired from punch, which has been crafted since 2002 at the "Frères de la Côte" (Brethren of the Coast) restaurant in Camaret-sur-Mer, Finistère. Agricultural white rum from Guadeloupe has been used in its making with fresh fruits and spices and macerated for at least 2 months. This maceration creates this unique, extremely sweet spiced rum, with exotic flavours of pinneaple and vanilla. 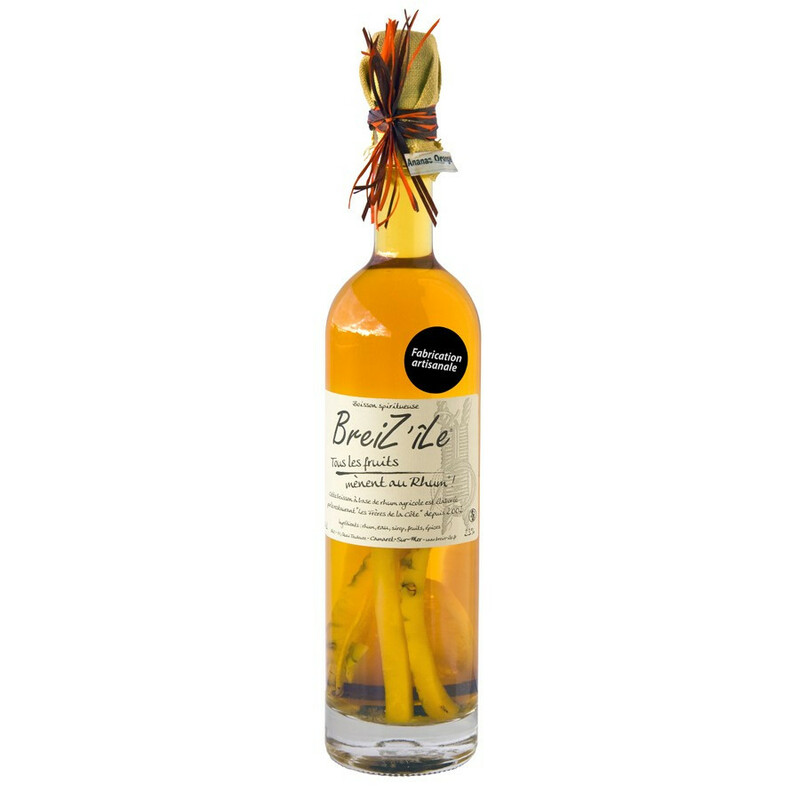 Breiz'île is perfect served as aperitive or digestive, at room temperature or refrigegrated for a refreshing summer cocktail.